While driving home on Cornelius Pass, I noticed that my odometer had just ticked over to 19,999 miles. I was sitting at a stop light and got my smarty phone out and got it ready for when it reached 20,000 miles. Well, that happened while I was turning left on to Baseline… so I couldn’t immediately take a picture of it. Thankfully, the next light was red when I came up to it and was able to take a snap of the information display and shouted “woot!”. And just to think, I was so close to the one year anniversary of when I brought the miles exterminating, Sprint Blue bomber home. I have had my shares of stalling the car as I continued to get used to negotiating both the clutch and the accelerator pedals. On the flip side, I have enjoyed carving up and down Skyline, Germantown and Oregon Highway 219 down to Newberg. I have made the trek up to Seattle once and out to Hood River twice. I have been intoxicated by the sounds of the engine and exhaust, particularly when letting the engine wind down from 6,000 RPM. Lately, I have put the sound system on mute and just let the sound of the engine, exhaust and wind fill the cabin as I drive with the windows down. The seats in the S5 have done a great job keep my large body from being tossed around when taking corners or curves a bit too aggressively. When I experienced the Sports Rear Differential kick in for the first time, I knew I made the right choice. The combination of the SRD and the rear-biased quattro all-wheel drive allows the S5 to actually experience controlled oversteer and makes carving up curves even more exciting. 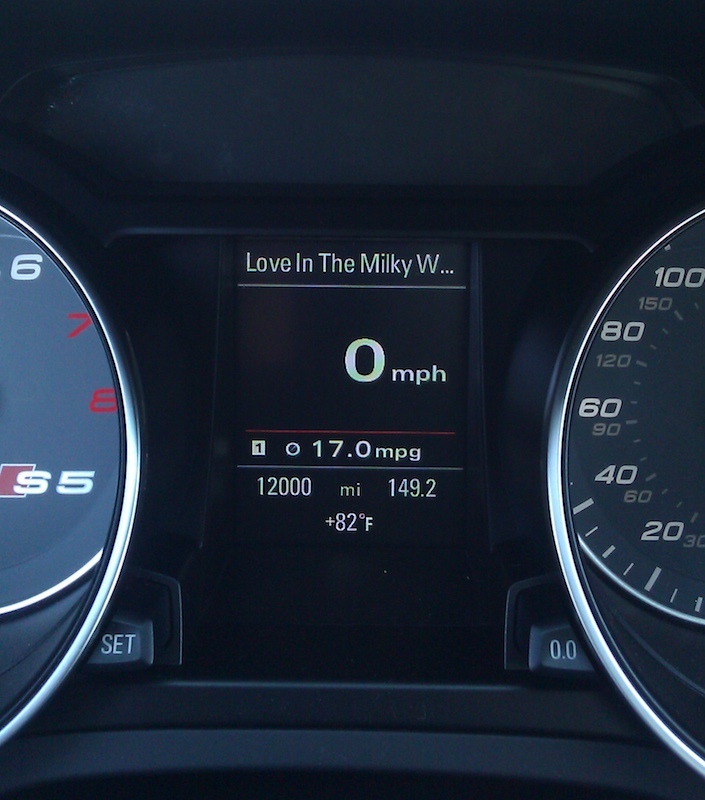 So yes, I have enjoyed every mile that I’ve clocked in the S5. 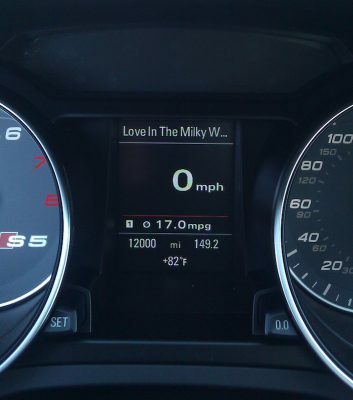 I expect the next 12,000 miles will not be any different. Audi s5 is a car for performance and speed enthusiastic car lovers. Even some of my colleges have reach near 12000 miles in one year. It seems great that the car is so special.